Live, Laugh, Love Second: Football in the Classroom...and a Giveaway!!! 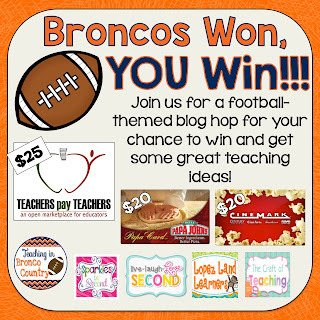 Football in the Classroom...and a Giveaway!!! Happy Championship Sunday! Even though my beloved Atlanta Falcons are not in the playoffs, I still love a good football..even in my classroom! 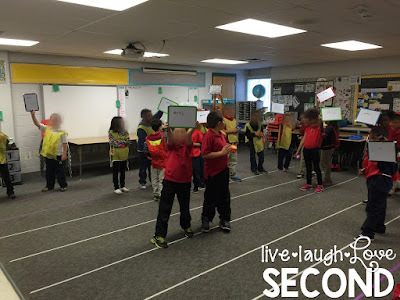 I was lucky enough to get to visit the Ron Clark Academy in May, and I was inspired to recreate this fun football-theme activity after listening to some of the amazing things Kim Bearden has done in her classroom. 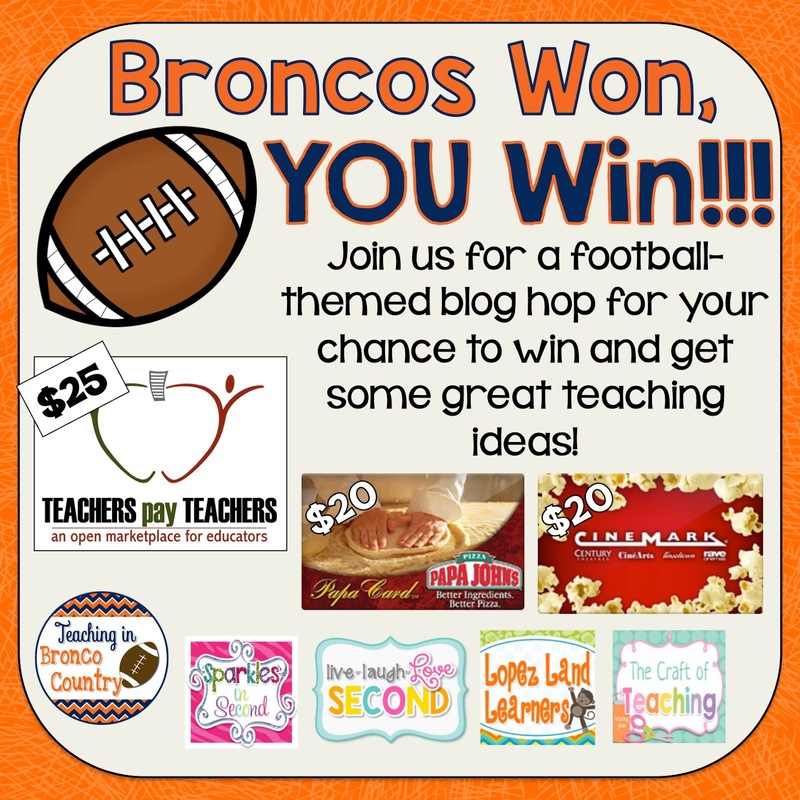 I thought I would share it as part of a blog hop and giveaway with some fellow Colorado teachers to celebrate the Broncos' big win! First, use painter's tape to outline a field. (Masking tape is hard to pull up. Trust me. Thank goodness I had 26 little helpers to get it all up for me!) My classroom was pretty big last year, but I still plan on doing it in my new room this year. I didn't do an "entire" field, and the kids didn't notice! Then, I borrowed some jerseys from our PE teachers to divide my kids into 2 teams. 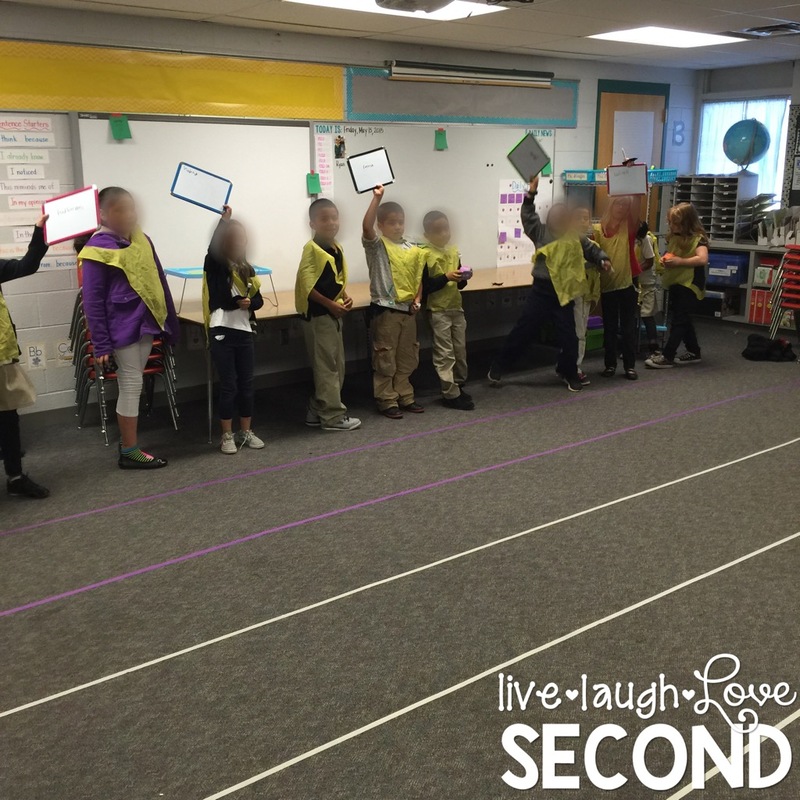 Each team was then split into pairs. I strategically paired my students. They also had a whiteboard to share with their buddy. If they were correct, they moved to the next yard line. If they were incorrect, they stayed where they were. Any illegal contact (sharing with other teammates) resulted in a penalty, and they had to move back a yard line. Once a set of partners had moved enough yard lines to score a touchdown, they would earn 6 points for their team. 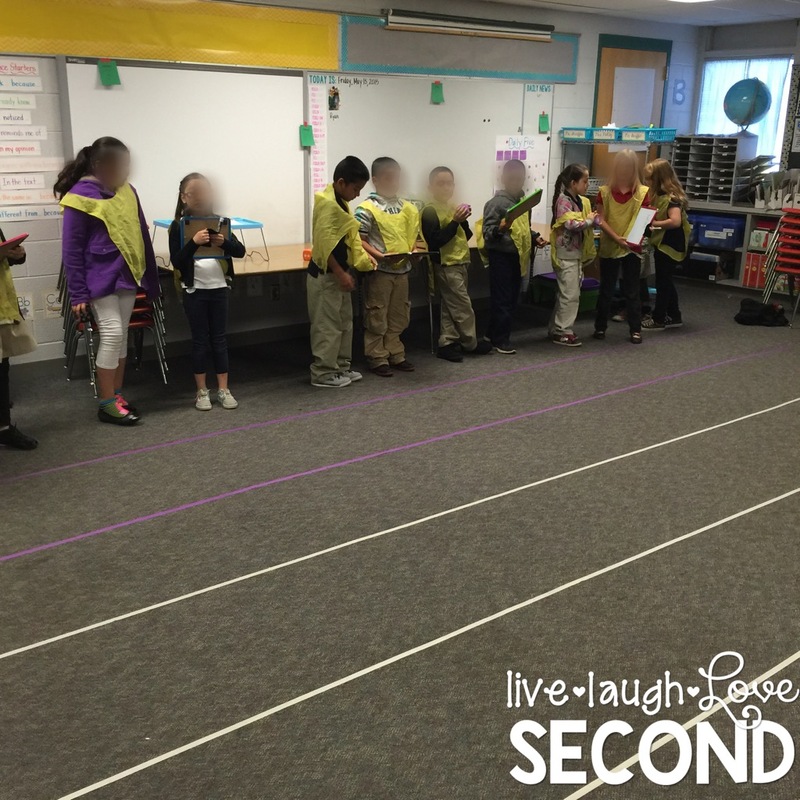 Then, the partners that scored went for an "extra point". I would ask a bonus question only they could answer. If they answered correctly, their team scored an extra point! Now, here is where you can adjust the game as you see fit. Usually, everyone stayed where they were and the game continued. The pair that just scored simply went the other direction. Another option would be to move everyone back to their endzone and "kick-off" again. 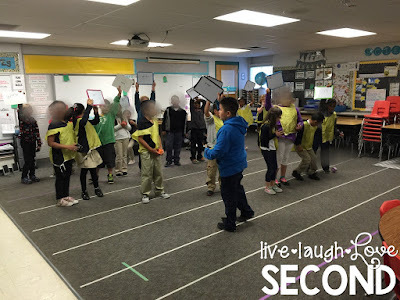 My kiddos loved this game last year, and I can't wait to try it again this year. One of the great things about this activity is that you can use it for every content area! Want to see another great football-themed activity? Then head over to Lopez Land Learners by clicking on her button below. But...don't forget to enter the GIVEAWAY first! This is a great idea Lori! What a fun idea! I love the idea of using it for a review! :-) GO BRONCOS!! I love this idea!! How awesome! Go Broncos!